Advice and predictions for timing fall foliage getaways. A fall scene near Rabbit Hill Inn. Photo by Joe Ruddy. It’s beginning to feel a lot like fall in DINE country, as the Distinctive Inns of New England (DINE) start gearing up for a colorful fall season. One of the reasons we love New England is the seasonality, and while spring brings 50 shades of green, fall is by far our most colorful season. 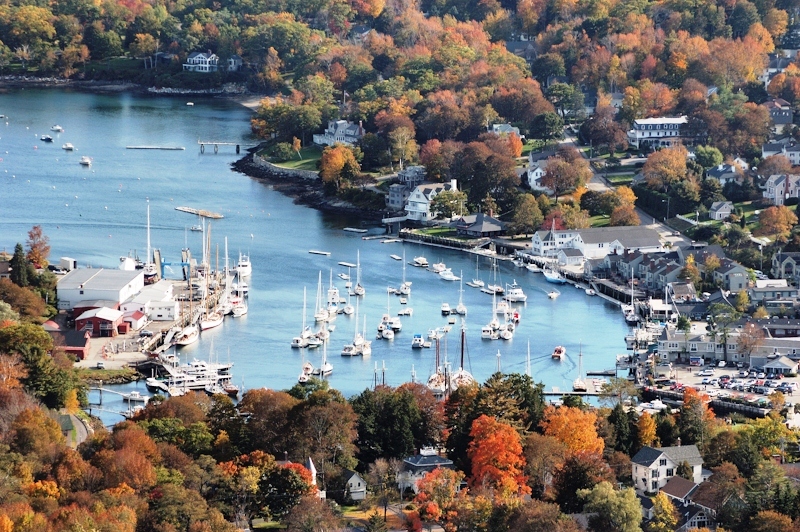 The harvest hues of hillsides, and reflections of leaves in the lakes and harbors nearby bring a cornucopia of color to the 12 Distinctive Inns of New England. Guests enjoy sitting by the fire a little longer and cameras come out no matter what the weather. 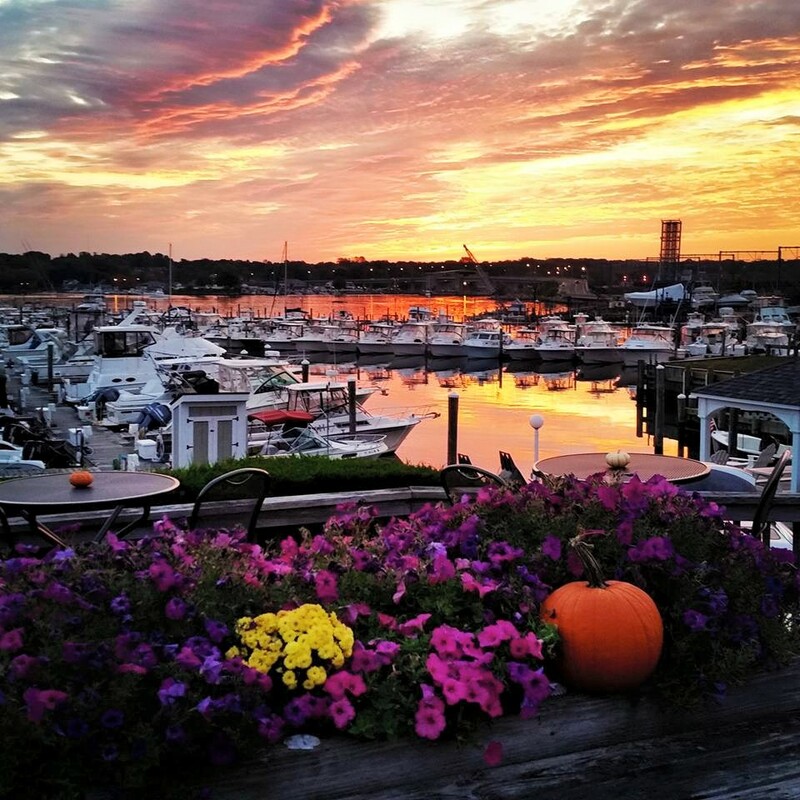 Autumn is the perfect time for a cozy romantic getaway to any of our 12 New England inns, and according to Yankee Magazine, this fall is shaping up to be longer and more as colorful as our best autumns ever in New England. When it comes to capturing the beauty of New England fall foliage in spectacular articles and photos along with predictions for the season, all eyes turn to Yankee Magazine and NewEngland.com. According to Yankee’s predictions and fall forecasts, this year’s leaf peeping season is shaping up to last longer than past years. While the fall weather and shortened days have an impact, according to Jim Salge, Yankee’s chief fall foliage forecaster, the story of the 2018 leaf-peeping season started back in January. In his latest prediction, Salge points out that the frigid January and snowy start to the winter season followed by an unprecedented late February thaw (remember the 80° days in Southern New England and 75° in New Hampshire and Maine??) which then flipped to cold weather again all had an impact on fall colors. Dry weather in the spring warded off some of the fungi that can impact trees yet proliferated the gypsy and brown-tailed moth population in New England, which defoliated acres of trees in some parts of New England. Yet, Salge says after a dry hot spell this summer, rain in August helped to usher in fall season with healthy leaves for the most part throughout New England. View of Camden Harbor from atop Mount Battie, near Camden Maine Stay Inn. Photo by Claudio Latanza. As we pointed out last year in our blog post about timing of fall foliage throughout New England, prime leaf-peeping season shifts from North to South in DINE country. 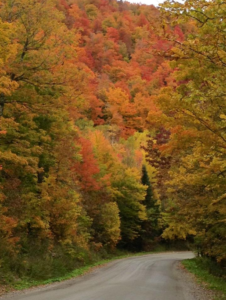 Those who wish to take in prime color should plan their trips to Vermont and New Hampshire first in early October, then the Berkshires and North Shore of Massachusetts and Maine in mid-October, followed by Cape Cod, Connecticut Shore and Rhode Island in later October into November. But don’t wait to make your reservations, especially for peak leaf-peeping season. As we say year after year, “Book now or forever hold your peep”! We’re already seeing wisps of color developing. We look forward to another fabulous autumn. Don’t worry, Mother Nature won’t disappoint! Visit each of the Distinctive Inns of New England by clicking below on links that will take you to each of their websites. Better yet, visit them in person for your next colorful getaway in DINE country. This entry was posted in Uncategorized by DINE Blogger. Bookmark the permalink.